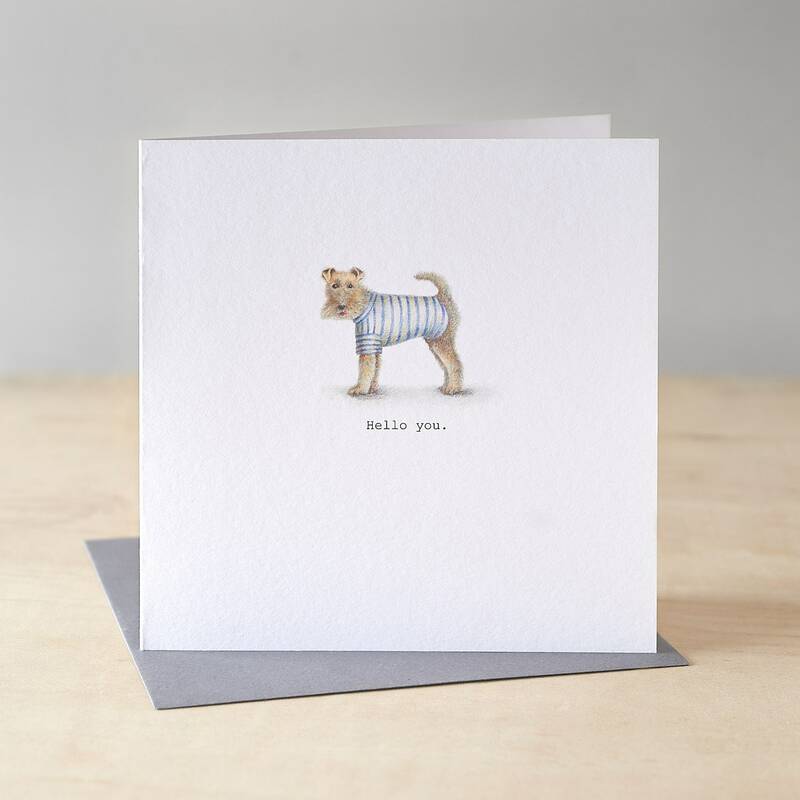 A funny birthday card featuring a fox terrier and the word 'Hello'. 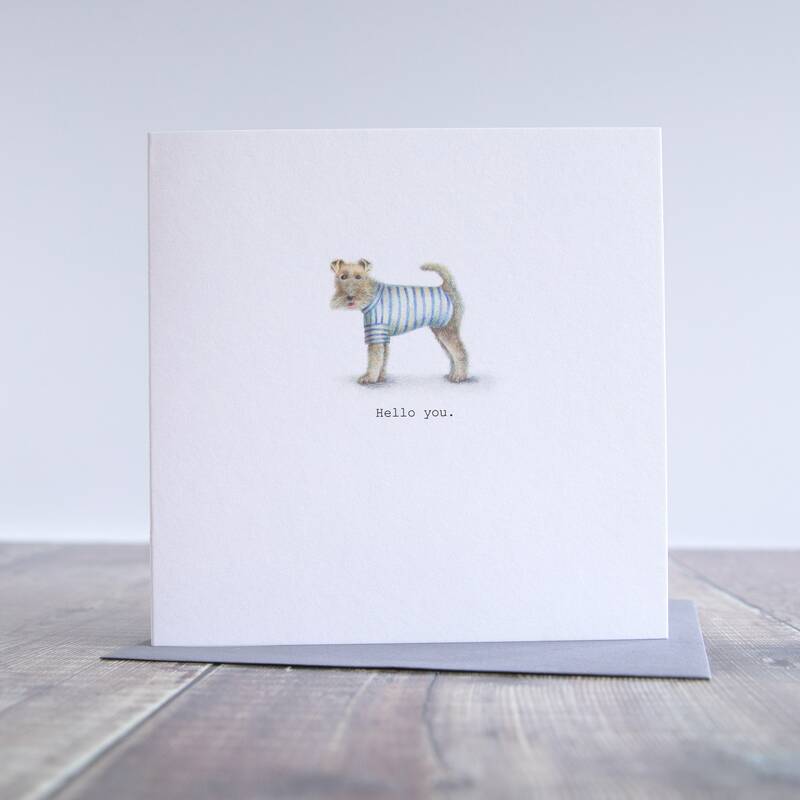 Perfect for just keeping in touch or as a birthday card. 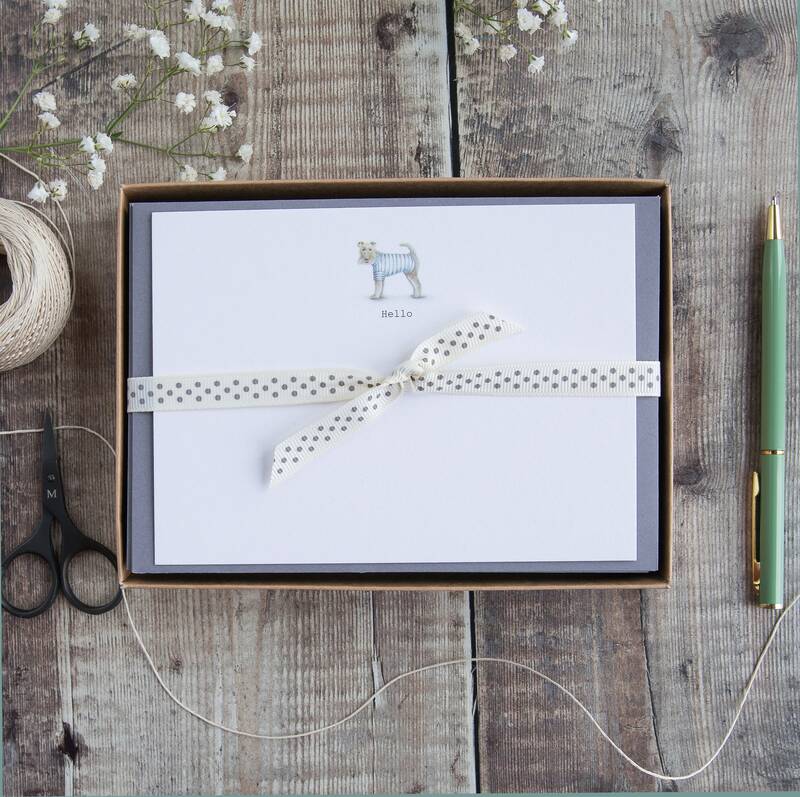 Perfect as a present to go with the card!